Apple might add a new color to the iPhone lineup and this year it won’t be a new shade of gold. 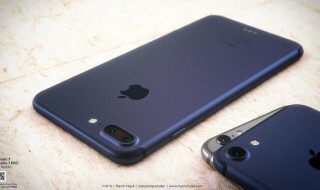 Recent rumors have claimed that the iPhone 7 will come in a “Deep Blue” color option when it launches this fall, which sounds kind of strange, until you look at the beautiful mockups created by Martin Hajek. 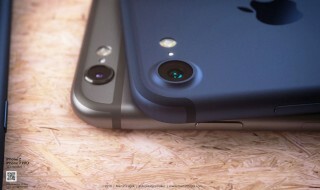 The iPhone 7 is expected to come in two sizes with the larger of the two possibly being dubbed the “iPhone 7 Pro.” The bigger iPhone 7 may come with a dual-lens camera for better low-light performance, zooming and 3D imaging. Other iPhone 7 improvements could include a slightly tweaked rear casing with no headphone jack and fewer antenna lines on the back. Apple may also add a Smart Connector to the back and a new type of home button. What do you think of the blue? Would you buy it? Let us know in the comments.